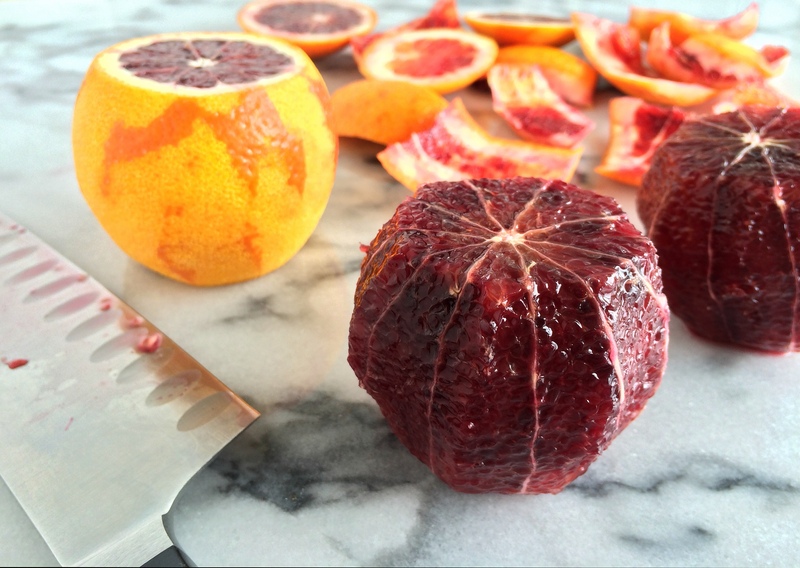 Blood oranges are deceptive. They look all orange-y on the outside and then when you cut into one, it’s like BAM! Deep burgundy red! It’s straight up trickery. Their flavor? Another little surprise. 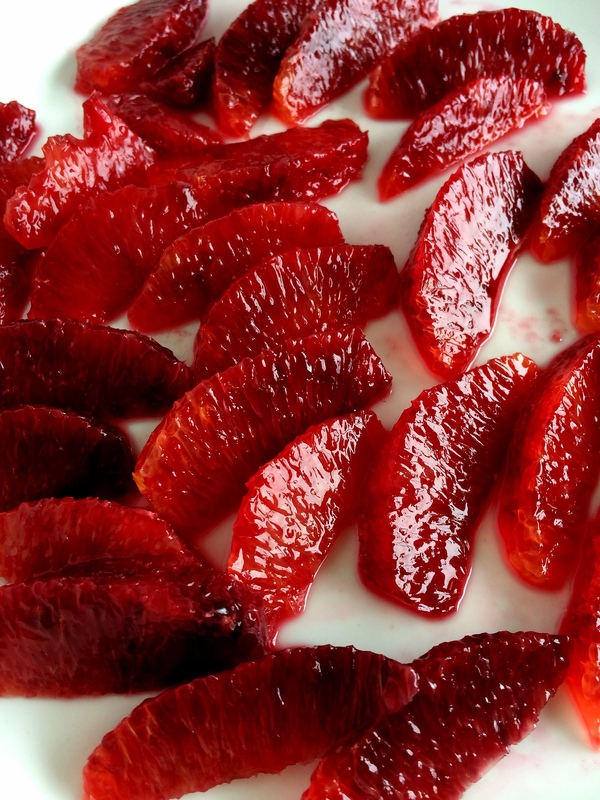 They’re not as in-your-face sweet as “regular” oranges; they’re more complex. 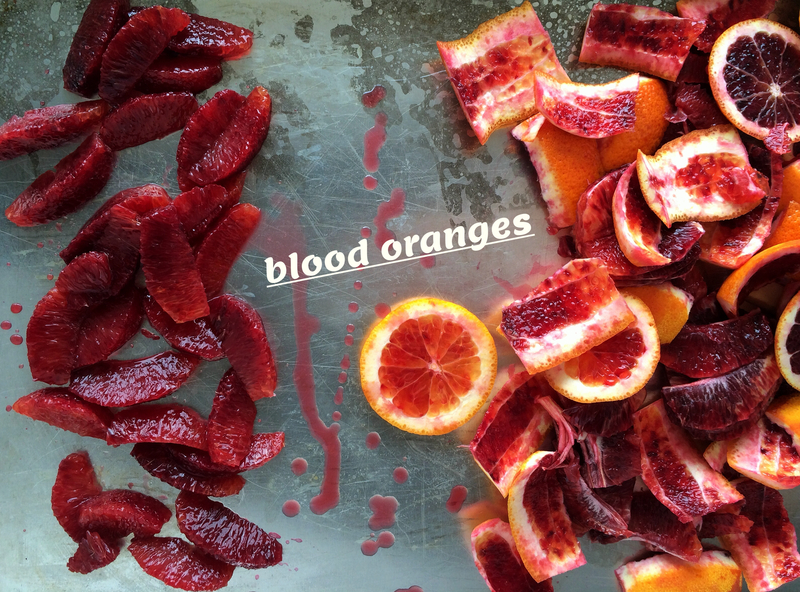 It’s kind of a grapefruit + cherry situation going on, with subtle floral notes hanging out in the background. They’re sorta magical and a bit wicked; I’ll definitely be making a cocktail with the juice…hello, bloody martini anyone? YES! But on a more proper note, let’s put them in bread, a quick bread. 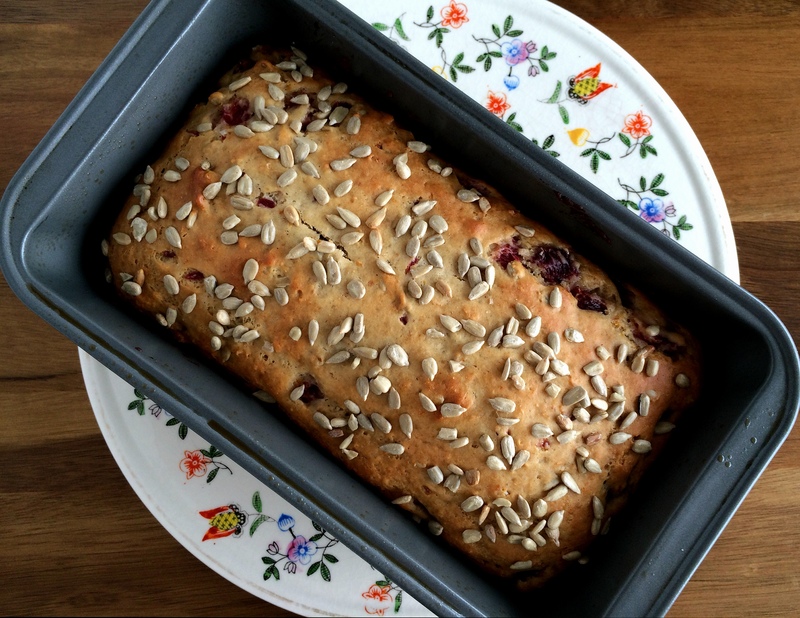 This healthyish bread is made with greek yogurt, applesauce, honey, white whole wheat flour and sunflower seeds. No refined sugar. No butter or oil. It makes a great breakfast topped with sunflower seed butter and a little drizzle of honey. You could also toast it and put a scoop of ice cream on top for a simple dessert. Or, do as the British do and serve it with tea in the afternoon…ginger tea would pair nicely! Brilliant…bloody brilliant! Preheat oven to 350 degrees. Oil or coat with baking spray a 4-inch by 8-inch loaf pan, set aside. In a large bowl, whisk together the dry ingredients (sunflower seeds thru coriander). 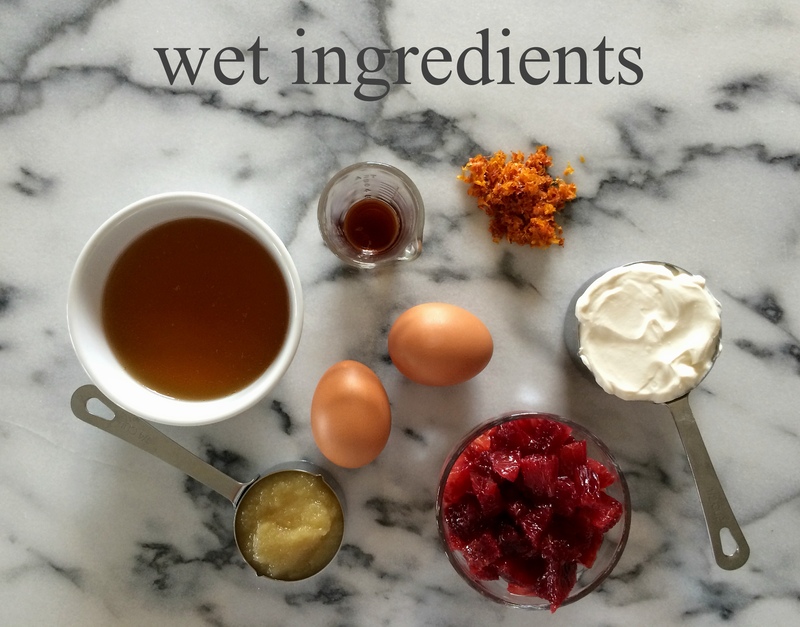 In a glass measuring cup or bowl, whisk together the wet ingredients (eggs thru chopped oranges). 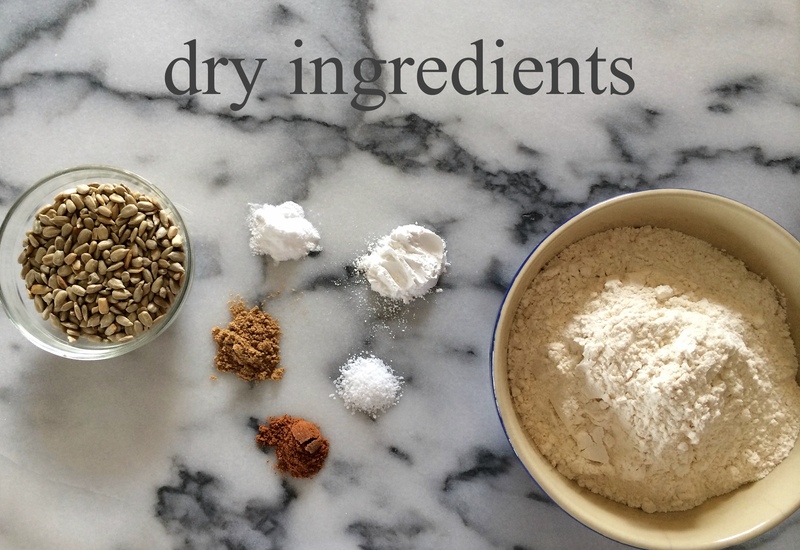 Make a well in the dry ingredients and pour in the wet ingredients, stir until just combined. 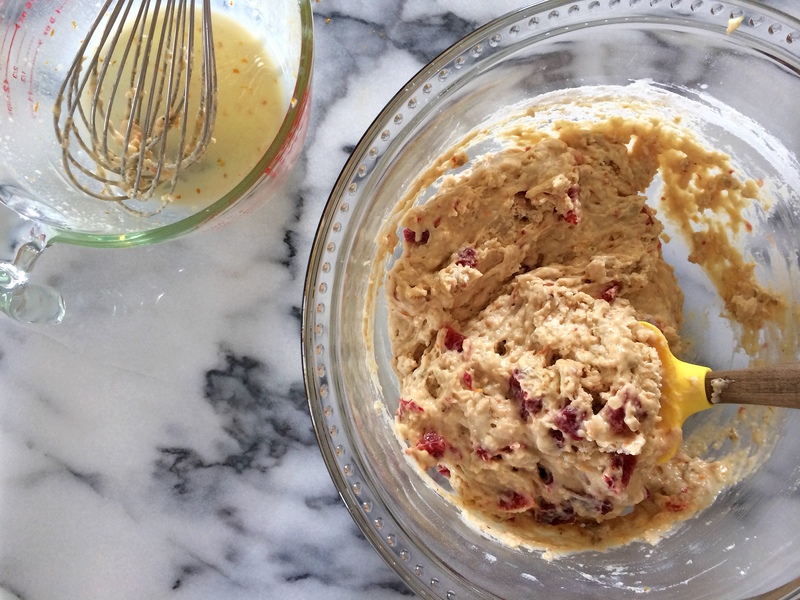 Pour batter into the prepared loaf pan and spread top to even it out. Sprinkle with sunflower seeds and bake for 35 – 40 minutes, until a knife inserted in the center comes out nearly clean. Cool on a wire rack then invert onto a platter. Slice and serve with honey (I like to serve it with sunflower seed butter, too). Enjoy!